Hello everyone! It has been a busy couple of weeks, and still is. 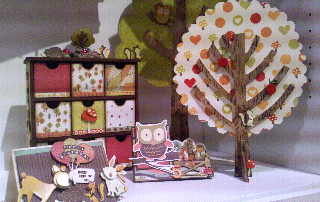 I'm very glad that I was able to insert some crafty fun during my visit with family and relatives. I guess you can say that they were nice breathers. Right now, I'm writing this blog through my android phone. Thanks to technology, I can blog even without an actual computer. On Saturday, I took the Copic Intermediate Certification Class in Red Lion Hotel in Anaheim, CA. I have to say that I was star struck when I saw my Copic idol Marianne Walker as I entered the room. That alone had made this class super extra special. I like to visit her blog and I learn a lot of Copic techniques from it. And I learned a lot from this class as well. It's really great to have hands on training with Copics, and actually have someone tell you what you're missing and what needs improvement. The class started at 9 am and ended at 8 pm, with 1 hour lunch break and 2 hour dinner break. You might think that it seems long, but to me it was otherwise. The content of the class was very well planned and executed that you wouldn't really mind the time. After the class, we were all given a surprise - a black Copic bag meant to store hundreds of markers. This bag is so huge that it would't fit in my luggage and I had to mail it home. Thanks to the Winter CHA taking place the next day, we were blessed to receive this cool organizer. Speaking of CHA - this event completed my trip in Anaheim. It's been a while since I felt that kind of excitement. The term "like a kid in a candy store" is not even suited for the emotion flowing through my veins. I kept thanking God for giving me the chance to attend this convention. Before you can get inside, you had to fall in a long line to get your badge. On a normal day, I would complain. But that Sunday morning, I was as pleasant as any flower in the Spring. I guess people can tell that I was a first timer because I was all smiles. The others who have been there time and again were grumpy and complaining about the long line. But not me. I guess you're wondering how I got a badge as I don't even have a store or business and definitely not a CHA member. After doing some research, I learned that CHA allowed non-members to apply for a badge this year. But of course, you have to meet certain requirements. However, if you do qualify for a non-member badge, you are only limited in the convention area. You cannot sign up for special classes taking place during the convention. Which was a bummer for me. But still I'm already grateful that I was granted a badge as a craft designer. And that I was able to get a badge for my sister as well. The Anaheim Convention Center is huge - I knew the moment I stepped in that I won't be able to see everything in just one day. My mistake was I didn't bring a cart or small carry on luggage with wheels like most people did. Newbie alert! You would definitely need one after all the paraphernalia and make and takes. I had to call my Mom and Aunt and ask them to get my carry on luggage and bring it to me in the convention center. Inside, there were hundreds of brands and companies showcasing their products. Some were just doing demos, while some offered make and takes for the attendees. I find it amusing that when you go to a particular booth, the staff would check your badge and see what type it is. I do understand that they would prioritize demoing to those with businesses that would buy their products in bulk. But lowly bloggers like me can also help in promoting their products through reviews and such. I really enjoyed doing the make and takes. Who doesn't like free stuff? But I especially like being able to try products that are not yet out in the market. It made me feel extra special. I did notice though that some companies do not give emphasis to the product they are pushing. There was a brand that had a make and take card. I got confused from the tools and materials that were on the table that had to ask which of those is their product. I like the make and takes that would really make me want to check out their product, and wait for them to be released in the market. You can tell that everything was well planned. I wish I was able to do all the make and takes. 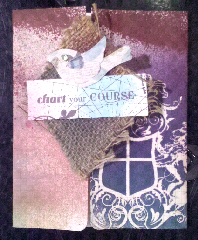 But out of the ones that I tried, I especially liked those by Tattered Angels, Silhouette, GCD Studios, Deco Art, Quick Quotes and Impress Art Metal Stamps. 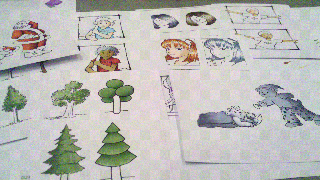 The demos that stood out for me were from Clover, Silhouette and La Blanche. And did I mention about the displays and decorations? What big feast to the eyes! It has been 5 days since I was in CHA, but I still cannot forget the presentation of Graphic 45, Prima and La Blanche. They had amazing themes and decor. Just seeing their booth was already a wonderful gift. I also loved seeing all the projects that were made to feature each and every product on the floor. There is really a big difference to be able to see and touch them in person, compared to just seeing photos online. It was an explosion of inspiration and ideas. If you're going to look at each and every display in one booth, it could take you hours. All the companies, design team members did a spectacular job. When it was almost closing time, I started rushing and made sure to visit my favorite brands. There's a bunch of them, but for now I'll talk about just three. I was very glad to see Kellie and Rick of Our Daily Bread Designs. I worked for them during a scrapbook and stamping show in Birch Run late last year, and expressed my interest to do it again this year. 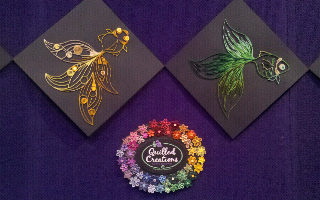 My adrenalin was pumping at the Spellbinders Booth, especially after seeing their soon-to-be-released products. They'll be having new designs for their dies, but I'm most excited about their embossing folders. Of course we were not allowed to take photos, but I can tell you that their new line of embossing folders will have two designs in one. 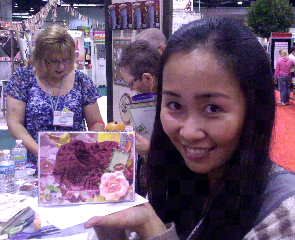 At the Ranger booth, I had the pleasure of seeing Tim Holtz in action. As expected, there were lots of people around him as he was doing demos for his products. I could barely see what he was actually doing, but I was able to take photos of his face. That was enough for me. I also got some feedback from some of the companies during my one day visit at the Winter CHA. 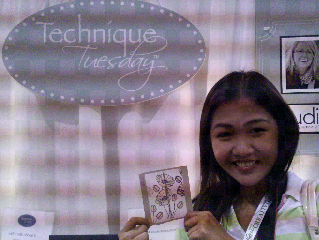 They said that the CHA Convention is now greatly dominated by stamping and paper crafting companies. And I can say so myself. I also noticed that the atmosphere is more festive in those areas. Sometimes I couldn't help but feel bad for the other crafting companies because nobody seems to be interested in their product. But then again, presentation is a big key to attract people and potential buyers. One of my regrets is that I wasn't able to do jewelry and beading make and takes. I guess it was my fault too as I focused more on paper crafting companies. But I was glad to discover new crafts like pop can mosaics and decorative edible gellos. Last weekend was really very special for me. 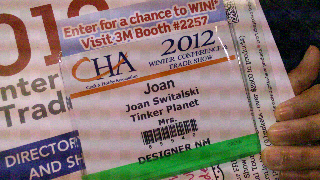 Now that I have attended the Winter CHA Convention, I am much more interested in checking out the Summer CHA in Illinois. I hope the photos I'm attaching here will be ok for now. I took them with my cellphone. When I get settled and can access a computer, I'll share a lot more better quality photos. Thanks for the visit... 'Til next blog! WAUW thanks so much for a really awesome walk throug your day at CHA and your Copicclass too. I´ll be looking sooo forward to see, whatr you´ll have to show with your newly learned skills there soon. Have a great time there and have lots of fun, til you´ll get back home again Joan.